Fast action play with an air hockey. Great fun with family and friends with this 6ft air hockey. 240 volt operation for indoor or dry use only, very sturdy construction, supplied with 4 pucks and 4 paddles so up to 4 people can play at a time. Takes approximately 25 minutes to assemble. Features fast action puck lift from its powerfull fan motor. Fast action play with an air hockey. Great fun with family and friends with this 7ft air hockey. 240 volt operation for indoor or dry use only, very sturdy construction, supplied with 4 pucks and 4 paddles so up to 4 people can play at a time. Takes approximately 10 minutes to assemble from the box. Features fast action puck lift from its powerfull fan motor, manual abacus style scorers so you know if your winning! Fast action play with an air hockey. Great fun with family and friends with this 6ft air hockey. 240 volt operation for indoor or dry use only, very sturdy construction, supplied with 4 pucks and 4 paddles so up to 4 people can play at a time. Takes approximately 10 minutes to assemble from the box.Features fast action puck lift from its powerfull fan motor, manual scorers are built into the goal assemblies . 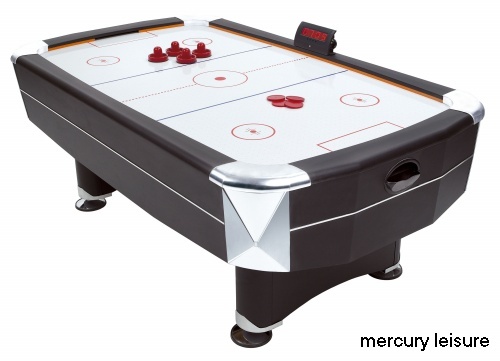 Full-size 7ft x 4ft air hockey table in matt black finish with chrome effect corners & piping & adjustable height feet. 2-4 players. Includes 6 pucks, 4 strikers & electronic scoreboard. Powerful electric motor for fast & smooth puck action. Requires a mains connection. This table cannot be coin-operated. Stylish & practical American pool/air hockey table. Pool on one side & air hockey on the reverse, ingenious flip over design for quick & easy table change. Black exterior with chrome effect corners & accessories storage racks, top grade blue speed cloth, high response rubber cushions & powerful electric motor for fast & smooth air hockey puck action. 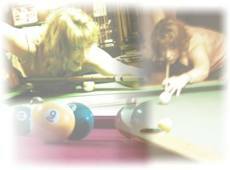 Accessories include 6 pucks, 4 strikers, 2 full-size cues, 2¼” set of spots & stripes balls, triangle, chalk & brush. Accommodates 2-4 players on air hockey. 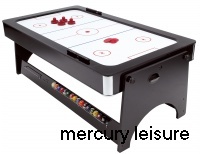 The 'Silver Flash' also known as the 'Hockey Flash' is our best selling commercial air hockey table. The playfield surface is made of stainless steel which does not mark or scuff the way that fibreboard playfields do and also lasts much much longer. 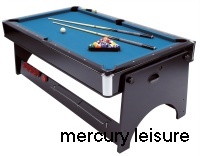 The stainless steel playfield also makes the table look more attractive. The table features over head electronic scoring, electronic sounds. One of the best features of this table is that the goal ends where the puck is returned can be removed easily with just the turn of a key to remove any items inserted in the goal, such as lollipop sticks, for easy servicing. This can save a lot of time when compared to some other models which require many screws to be removed and panels to be detached. Playing field made of stainless steel, smooth and easy to clean. Built-in fan, for large volume of air. 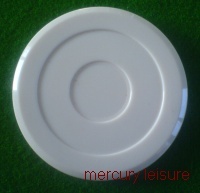 Enamelled Aluminium cushions designed to keep puck inside the playing field. Steel legs with adjustable feet. Puck return door with key to for easier maintenance and cleaning. New CPU with resin transformer on board. Flash microprocessor permitting management of all game functions through the display. Digital display to indicate game credits, time left and the goals scored. Optional background music at start of game and with every goal scored. Equipped with mechanical coin mechanism for tokens or coins. Can be replaced with electronic coin mechanism for different kinds of coins on request. 220 Volt power supply - can be converted for export ordered upon request. Supplied with 6 pucks and 4 mallets. 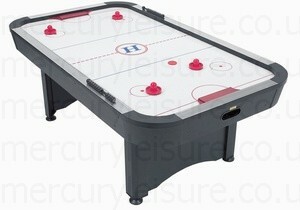 Europe wide best selling commercial air hockey table from world renown Sam. The playfield surface is made of stainless steel which does not mark or scuff the way that fibreboard playfields do and also lasts much much longer. 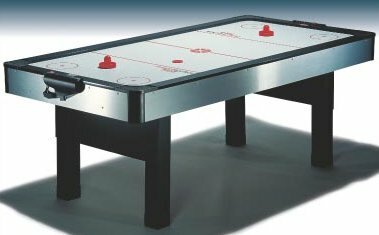 The stainless steel playfield also makes the table look more attractive. 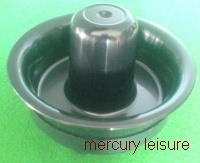 Air hockey puck. Strong commercial quality puck. Bevelled edge and weighted to stop puck "flying"